Please note: In order to connect to Autobase you will first need to obtain the appropriate connection details. If asked please advise Autobase staff you will be using Motorcentral 3 to export your data to them. You will see a list of the most common exporters. 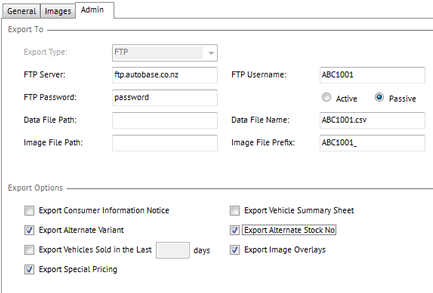 Within this you will see a button called Export to Autobase in CSV format. When you click on this the information regarding the exporter will appear to the right of the list. Once all the settings are entered click the Save Settings button to save your Export settings.